For all fifty years of the Phyllis Schlafly Report, defending the Constitution has been a top priority. 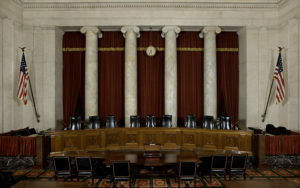 The individual threats to our Constitution may have changed, but the PSR has always been there to break down the complicated language of constitutional lawyers. During the fight against the so-called “Equal Rights Amendment,” it was the P.S. Report that warned of how such an amendment would devastate women, the family, and our system of government. Cutting through emotional arguments about past discrimination and oppression, the February 1972 Phyllis Schlafly Report boldly proclaimed “Of all the classes of people who ever lived, the American woman is the most privileged.” When our nation faces foolish attempts to abolish the Electoral College, give Washington, D.C. statehood status, or initiate a constitutional convention, the Phyllis Schlafly Report provides the clear voice of reason backed by facts and embracing the conservative perspective. 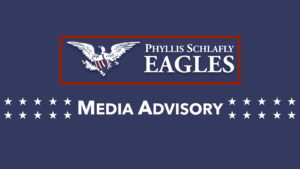 In addition to defending the written embodiment of our American system of government, the Phyllis Schlafly Report has always been a strong defender of American sovereignty. Few other publications address such a broad array of issues dealing with the defense of American governance. During the Cold War, the PSR fiercely stood against the spread of communism and leftwing attempts to break down America’s military forces. As the August 2017 Phyllis Schlafly Report recounted, “Phyllis believed that it’s not enough for the United States to have a strong military; our military forces must be superior to any potential adversary.” While that topic is ubiquitous throughout the history of the PSR, it is also notable that no other publication does such a thorough job of analyzing the sovereignty-infringing effects of UN treaties. From LOST to CEDAW to the WTO, no one covered the facts like Phyllis when it came to American sovereignty. Likewise, the PSR covered the serious threat of immigration years before Donald Trump came on the political scene. The Phyllis Schlafly Report offers insight of an almost clairvoyant nature on the issues that matter most. To many people, Phyllis Schlafly’s signature issue was the American family. She understood that the very fabric of our society depends on the institution of the family to thrive. Those who do not read the Phyllis Schlafly Report will never know the scope and depth of the myriad attacks on the family from the forces of the feminist left. From federal daycare to family courts to education, feminists have done everything imaginable to diminish the role of the American family in our society. Yet, the Phyllis Schlafly Report dutifully stands in the gap every time. 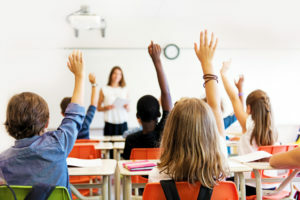 When it comes to what is going on in schools behind parents’ backs, the PSR is always there to challenge attempts to abridge the parent’s right to know. At the end of the day, it all comes down to our families, and the Phyllis Schlafly Report always reflects that truth. The Phyllis Schlafly Report has been and will continue to be the voice of the conservative movement. Our goal has been and will continue to be “more facts in fewer words.” Yet, the simple fact of the matter is that no grassroots publication, no matter how factually correct or well-written, is worth the paper it is printed on unless it is used by its readership. More than anything else, that will always be the goal of the Phyllis Schlafly Report. We want you to use this publication as a way to form your own positions on the issues of today and to make a difference in your community with what you learn. Thank you for making these past fifty years of the Phyllis Schlafly Report possible. We look forward to sharing the next fifty with you as we carry the torch of the conservative movement into the future. To view the August 2017 Phyllis Schlafly Report in its entirety, please click on the image below.